As earthy as sueded leather, as sophisticated as champagne and pearls. 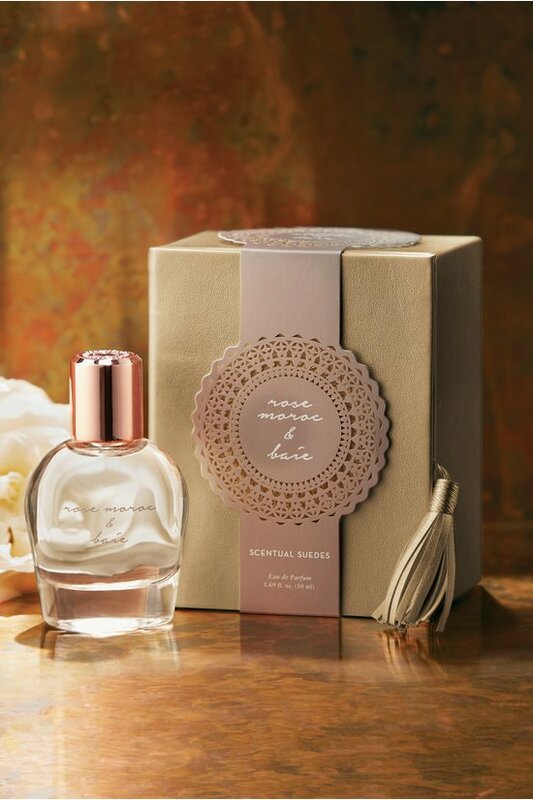 Rose Moroc & Baie is a scent with the personality of the life of the party. This intricate scent opens with notes of ripe raspberry, juicy orange and a hint of lemon and juxtaposes them with rich, earthy sandalwood and warm leather. At its heart are whispers of field flowers like opulent saffron, regal iris, soft rose and exotic jasmine. The enchantment lingers with patchouli, amber and ambrette seed undertones. Eau de parfum. 1.69 fl. oz. Exclusive to Soft Surroundings.